At The Plumber's Plumber, we understand that sewer and drain emergencies are not something that residential and commercial property owners can always control. Our team at The Plumber's Plumber is made up of industry experts who are available 24/7 to assist you with your sewer and drain emergencies. Our team specializes in fast, affordable, and noninvasive services that allow for the quick restoration of your pipe system. Residential and commercial pipelines are used all the time for various services, we often take for granted. At The Plumber's Plumber, we want to make sure you do not have to suffer through pipe emergencies, but instead feel assured knowing that your local experts are standing-by and ready to solve them for you. If you are experiencing sewer and drain problems, the best solution may seem like purchasing a at home chemical drain cleaner or snake. While chemical drain cleaners and snakes appear to solve your problem in the moment, they only scratch the surface when it comes to solving your pipe problems. Chemical drain cleaners contain harmful ingredients that pollute your drain system, and snakes only remove surface clogs. Attempting to solve drain problems on your own will only lead to plumbing emergencies that leave you with a costly repair or replacement. The only viable solution to your plumbing problems is to call a professional, so you know the problem has been properly solved. 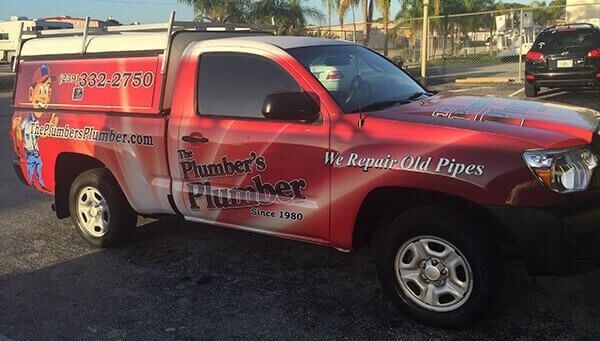 Our team at The Plumber's Plumber understands that it is not always easy to be aware of when a plumbing emergency will occur within your sewer and drain system. However, there are signs you can watch out for to prevent a sewer an emergency from happening. These signs include but are not limited to, slow flushing drains, sewer backup, leaking pipes, discolored water, and low water pressure. If you are experiencing any of these signs, it could be time to call your local professionals to inspect your pipes to identify a problem before it becomes more severe. In order to prevent emergencies from occurring or if you need us to service an emergency, we can provide you with a thorough camera inspection. Camera inspections are a quick and noninvasive process that allows our team to inspect your pipes with a high-definition sewer camera. In addition to sewer camera inspections, we can provide customers who need emergency services with drain cleaning, pipe lining, and pipe bursting services that will allow for your pipes system to be restored in an effective amount of time. Our service areas include Fort Myers, Cape Coral, Estero, Lehigh, and Bonita Springs, Florida. If you are experiencing plumbing issues or have a plumbing emergency, call our reliable associates to schedule an appointment as soon as possible.